Home to the first four-level freeway interchange in America, Los Angeles is a city that has become an international poster child for everything concerning urban sprawl. However, to equate the city with being autocentric could not be further from the truth. At its heart, you'll discover one of the most vibrant pedestrian friendly preserved urban neighborhoods in the country. 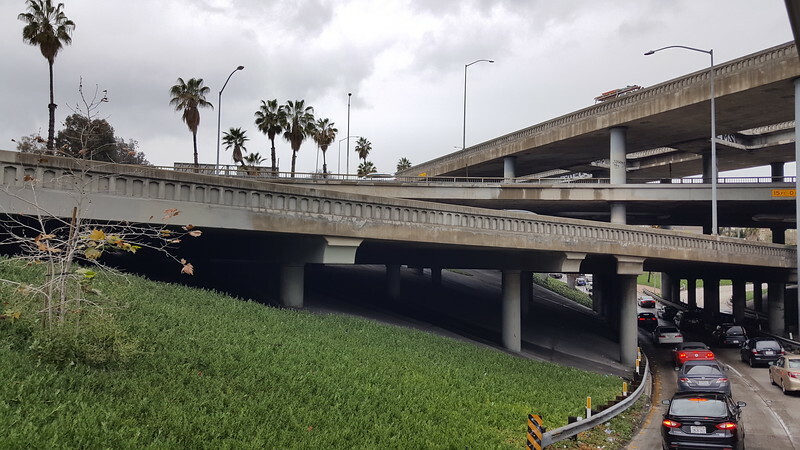 Completed in 1949, the Four Level Interchange (officially the Bill Keene Memorial Interchange) in Downtown Los Angeles was the first stack interchange in the world. In 1890, with a population of 50,395, Los Angeles was smaller than Charleston, SC and Lincoln, NE. Two years later, oil was discovered in the area, making California become the country’s largest oil producer and Los Angeles a major metropolis by the 1920s. In addition, revenue from Hollywood and the film industry kept the city humming through the Great Depression, leading to a city population of 1,504,277 by 1940. It was during this 50 year period of blistering growth, that the Historic Core of the city developed. Home to the city’s first skyscraper, its Spring Street was the city’s financial center, earning itself the nickname the Wall Street of the West. One block west, its Broadway Avenue became the place where residents shopped, entertained themselves at live theaters and ornate movie palaces, and dined as treasured institutions like Grand Central Market which dates back to 1917. 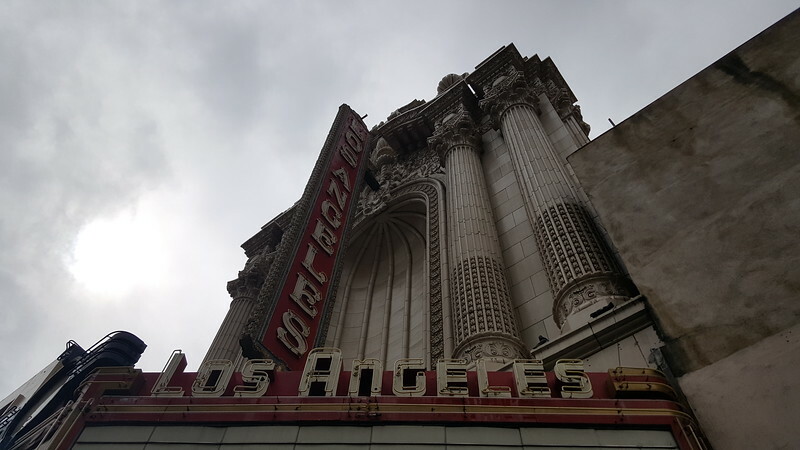 Nevertheless, with many of its Beaux Arts, Art Deco and Art Moderne facades remaining virtually intact, the strength of the Historic Core is its early 20th century period architecture and cityscape. Incorporating a belief that people came to the city from the East Coast to escape ‘dark, walled-in’ streets, city leaders imposed a 150-foot building height limit in 1911. 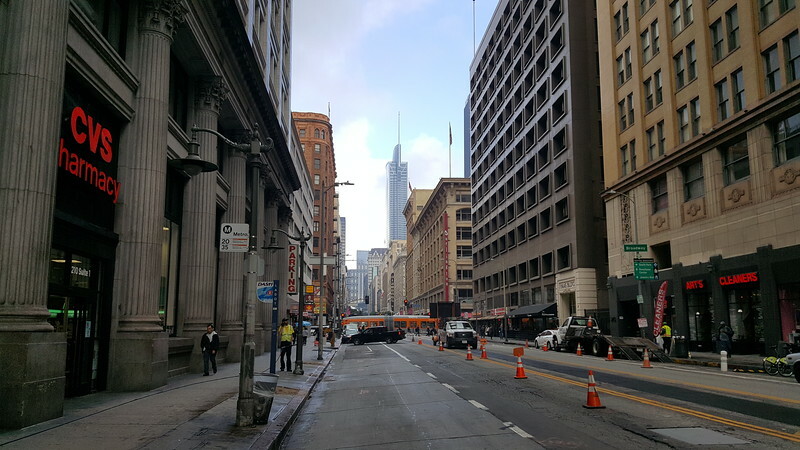 While critics believed it resulted in the city having an uninspiring skyline, advocates viewed the height restriction was giving the city “harmonious lines” and saving Los Angeles from becoming another Manhattan. Ultimately, the height limit was lifted in 1957 leading to the development of a modern downtown skyline just west of the Historic Core. Now armed with a strong local culture of preservation and an innovative Adaptive Reuse Ordinance (ARO) facilitating the conversion of historic and under-utilized structures into new housing units, the Historic Core has become a walkable destination where the 21st century meets the golden era of Los Angeles.